Shared a couple of pieces already or thinking about uploading one (or a few)? Want to know what to do next? Keep track of upload statistics. 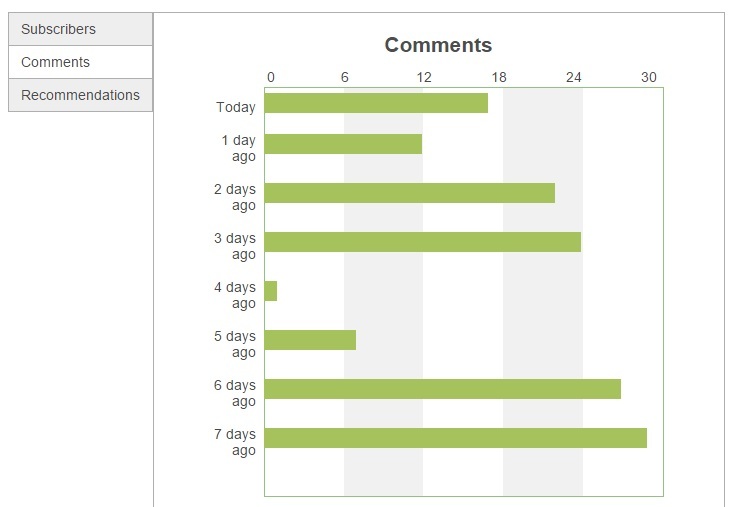 Conversate with users commenting on your upload(s). Share your pieces on social media platforms. 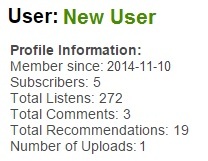 You can keep track of total subscribers, listens, and comments by clicking on Account Stats on the secondary menu. For a more detailed display, scroll down the page and you can view the weekly graphs (as shown below). No doubt people will have something to say about your piece. They might even have a question. Anytime a comment has been made on any of your pieces you will be notified. Don't forget to reply back! If your piece is popular, it may reach our monthly charts! We have two main categories: The Most Listened and The Most Commented. Many users keep up to date on the chart positions and therefore is a great way for your piece to get even more exposure. 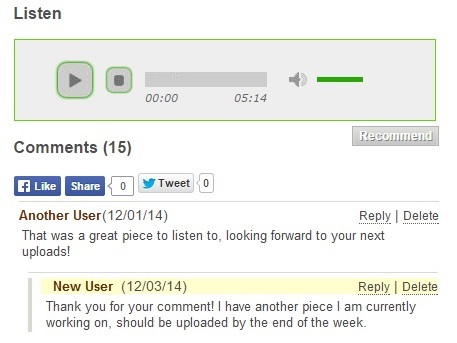 If listeners like your piece, they might click on the 'Recommend' button. Having a song recommended does two things: Your piece will show up on the dashboard under 'Recommended Pieces' and it will also rank higher in the Browse Page when ordered by recommendations. It helps users find well-liked pieces and help bring attention to your upload. 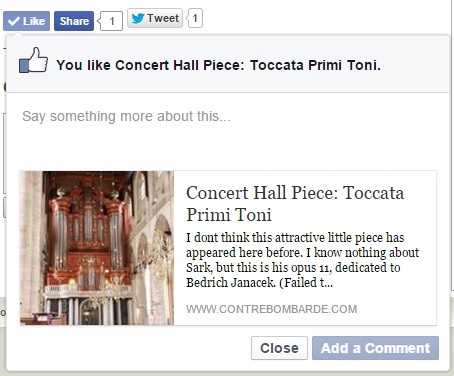 At contrebombarde, we have made it easy for you to share your pieces (or others) using our social media buttons. You can display a twitter or facebook post directly from our page! Thank you for the time to go over this quick informative article. We just want to ensure that as a user (and contributor) you can make the most from our site. Happy uploading!